Recently, I got a chance to interview Michael Graham of the Gravity Group. The company has been producing top notch wooden coasters even though it is just a few years old. Some examples of their work include, the world’s number 1 coaster: The Voyage at Holiday World, The Ravine Flyer II at Waldameer, Hades at Mt. Olympus along with many other award winning wooden coasters. Mike, it’s pleasure to be able to interview you! I can’t wait to hear your responses to some of the questions I have. So let’s jump right in: The Gravity Group is a fairly young company when compared to some other roller coaster manufacturers. How exactly did the Gravity Group form? When we were laid off from Custom Coasters, and it then went bankrupt, we liked what we did and wanted to continue doing it. We started out consulting on a number of smaller projects including the Raven upgrade to two trains, and then in the fall of 2004 we began our first ride, Hades at Mt. Olympus. Eight years after our inception we have now completed 5 roller coaster designs with 4 more opening next year. 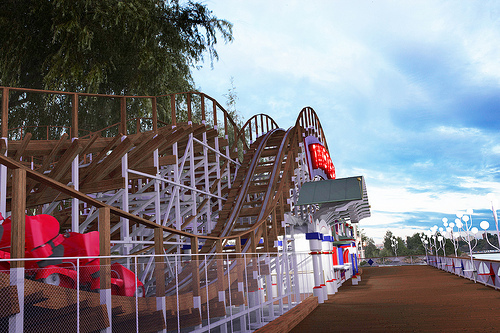 Of all the Gravity Group coasters you have worked on, which has proven to be the most challenging to design? This is an interesting question as each ride has posed its unique challenges of site constraints or other random features. 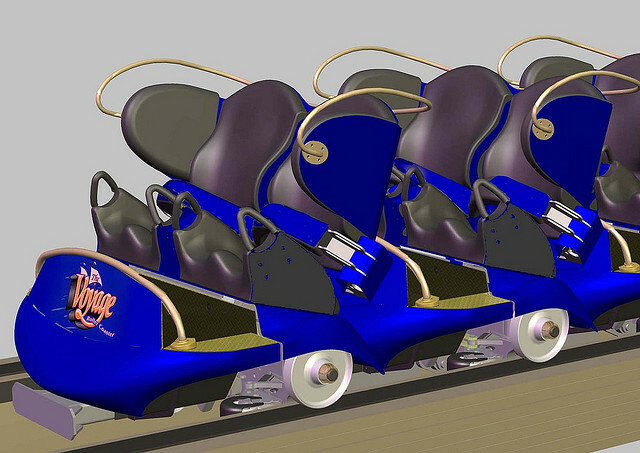 I would say the Timberliner project probably has been the most challenging as our goals for the product were set very high, and it has been a different exercise than producing another ride design. Which project was the most fun to work on? The Voyage may have been the most fun as it was such an epic design. 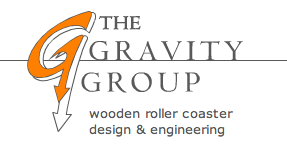 Gravity Group is a wooden coaster design firm, but has the company ever looked into working on steel coasters? We often brainstorm about delving into other ride styles, but development is a very involved and time-consuming process. 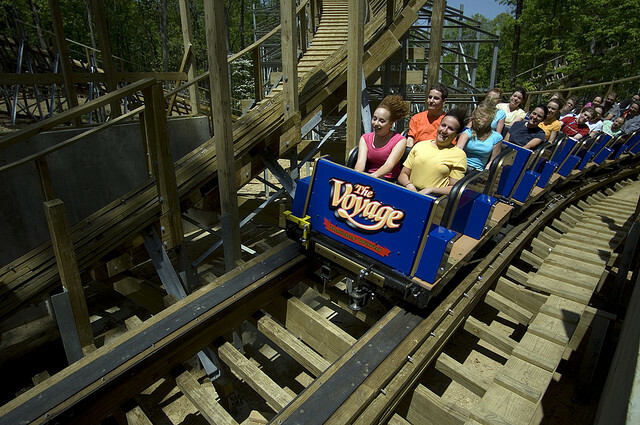 The Timberliner is a revolution in a wooden coaster trains. The cars are described as being able to smoothly navigate the track among many other features. How exactly did the concept of the Timberliners come to be? Have a good number of parks expressed interest in the Timberliners for their existing wooden coasters? Yes. They are designed to be compatible with existing tracks and our data clearly shows that tracks will breathe a breath of fresh air when running the lighter more nimble Timberliners. 2011 will be the first year two Gravity Group coasters open up in the same season. Could 2012 bring two or more as well? One never know what the future holds. Just a few weeks ago (August 9, 2010) Gröna Lund in Sweden announced the addition of a new Gravity Group coaster. 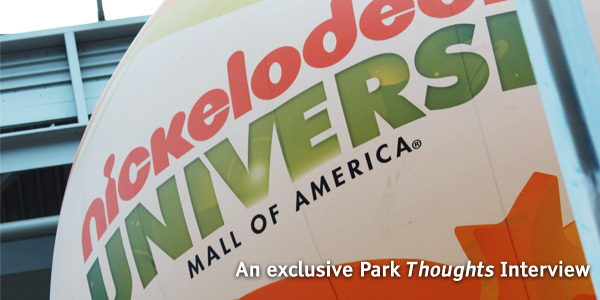 How long ago did the park approach the Gravity Group? And how long in general does it take from conception to opening day for one of your coasters? We have been talking to them for quite a few years. With the ability to make the super tight turns, we were able to provide them with a very unique ride with a tiny footprint compared to that of typical wooden coasters. This enabled the park to do the ride for 2011. Often the conceptual design is done in conjunction with zoning hurdles so sometimes it is quick while other times it is iteration after iteration. Once all systems are go, it typically takes less than a year from design to completion. We really appreciate you giving Park Thoughts and it’s readers an opportunity to get an inside look at the Gravity Group! Can you give us an insight at what the future holds for Gravity Group? We plan to keep making improvements in what we do and how we do things. We will continue to focus on designing the best roller coasters on the planet, now coupled with the best trains on the market. Well, once again Mike, thanks for the interview! We really appreciate it. We were able to sit down and talk to Six Flags Discovery Kingdom’s very own Captain Lee Munro, Animal Ambassador and Media Spokesperson. Listen to our interview from Odin’s Temple of the Tiger as we discuss what’s new for 2010, how the park is dealing with the tough economy and the new “coaster wrap” ads. I was able to take a few minutes to talk to Brandon Stanley, Public Relations Manger at Worlds of Fun in Kansas City, MO. Take a listen to our interview below! We discuss everything from how the season is going, to Prowler, plus we get his thoughts on Cedar Fair’s announcement of possibly selling the park earlier this year.